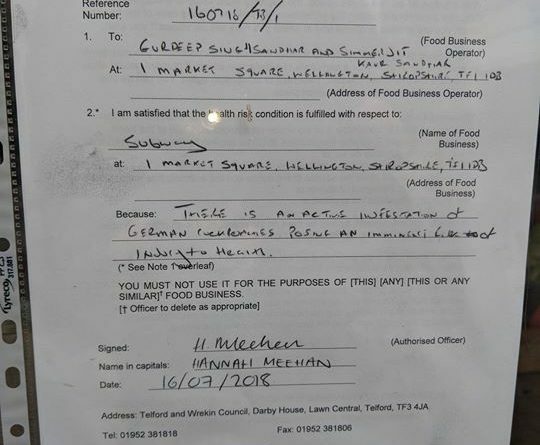 A notice posted on the door of a Telford Subway by Environmental Health informs customers that the business is closed while an infestation of cockroaches is dealt with. 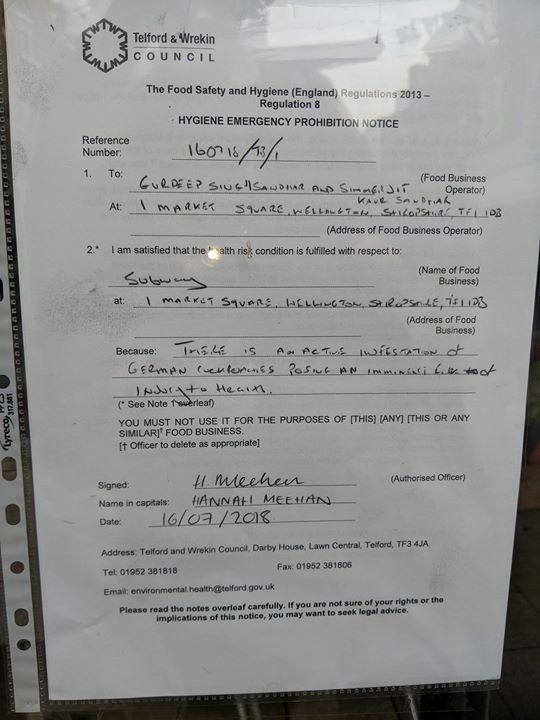 The Subway Sandwich store in Wellington has been served with a notice to prevent food being prepared in the distinctive half-timbered building until the problem has been cleared up. 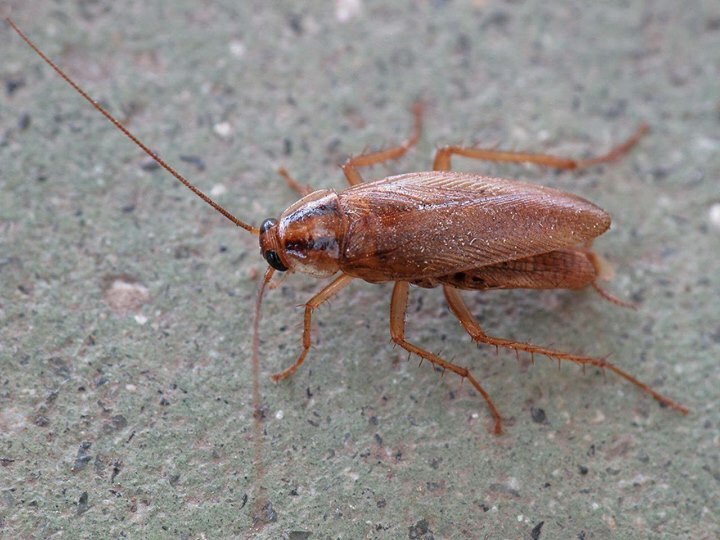 The German Cockroach is the most common type of Cockroach and are at their happiest in this hot weather. We tried to contact Subway for a comment but have yet to manage to get a response. ← Looking for a Job? You could start tomorrow! Eewww gross surely the staff would have seen the crawlies ?…. Cockroaches are a common problem and can be dealt with at the first sight, obviously they’ve been ignoring the problem and continuing to trade… Not cool! Collette Busst I know you use this one a lot!